A few months ago we posted some lovely examples of outdoor-inspired men’s wedding bands. This particular beauty by Epheriell stood out because of its really awesome gunmetal look. The matte effect comes from the fact that it's brushed, but the darkness is actually just oxidized silver, making it a beautiful ring for an even better price. The caveat: oxidized silver will return to its natural shiny state. The rate at which this happens depends on wear and the individual’s body chemistry. But now for the good news: you can actually re-oxidize your ring right at home using eggs. We love this because you don’t have to get mixed up with any nasty chemicals... though we have to warn you that your kitchen will probably have some stink with this method, but at least it’s not harmful. STEP 1: Get hard (boiled). This is pretty straight forward. We’re not here to teach you how to hard boil eggs, but if you’re unfamiliar with the process some quick Google-ing will get you squared away. While your eggs are firming up, wash and dry the ring you’ll be oxidizing with warm water and dish soap then dry it thoroughly. Make sure not to touch it with your hands after this. Any oil or residue or fingerprints on the ring will keep it from oxidizing evenly. When your eggs are done and ready to take out of the pot, you should forgo the typical step of cooling them (normally done to stop them from cooking further). This is because you want them hot and steamy so the sulfur vapors are at max penetration in your container. 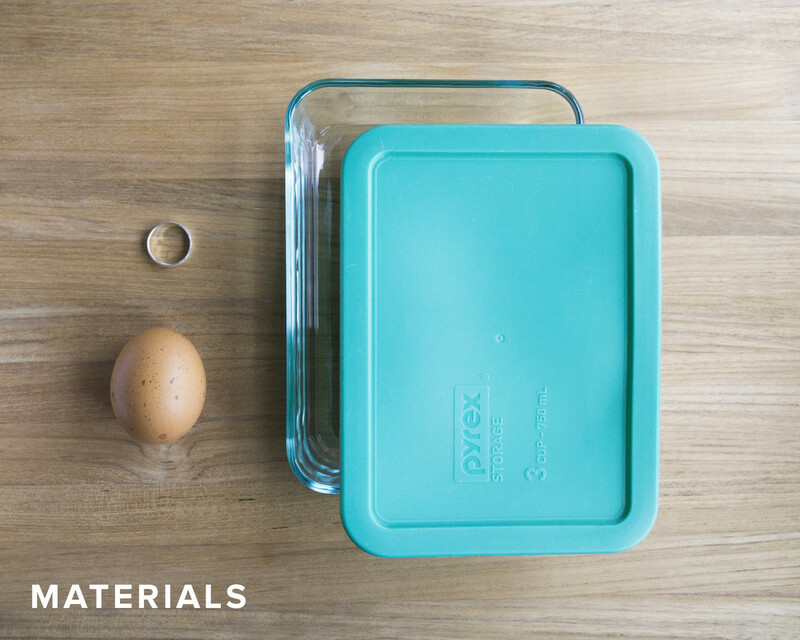 Peel and quarter each egg lengthwise and place each “slice” around the perimeter of your container yolk side up. Put your ring right in the middle. Again, don’t touch the ring with your hands and also don’t let any yolk touch it either. This will cause uneven oxidization and weird rainbow effects. However, maybe that’s the look your going for, in which case forget what we said. Put the lid on your container and wait. You can start checking it after 40 minutes. We knew we wanted a darker look on our ring so we left it closed for 2 hours straight so as not to let any sulfur-y goodness escape. STEP 5: Admire your craftiness. Boom! Remove your ring, give it a rinse, and pat dry. You’re ready to rock your re-oxidized ring once again! Let us know how it goes if you try this method, we’d love to see how it turns out! See the image below for our results, lookin' good!